Never Split the Party...Unless Someone is the Traitor! The shadow of Bhaal has encompassed Baldur`s Gate, summoning monsters and other horrors from the darkness! Enter if you dare! In Betrayal at Baldur`s Gate, as players build and explore the iconic city`s dark alleys and deadly catacombs, they must work with their fellow adventurers to survive the terrors ahead. That is, until some horrific evil turns one - or possibly more - of them against each other! Was it a mind flayer`s psionic blast or the whisperings of a deranged ghost that caused their allies to turn traitor? Players will have no choice but to keep their friends close - and their enemies closer! Can you and your party survive the madness, or will you succumb to the mayhem and split (or slaughter!) the party? 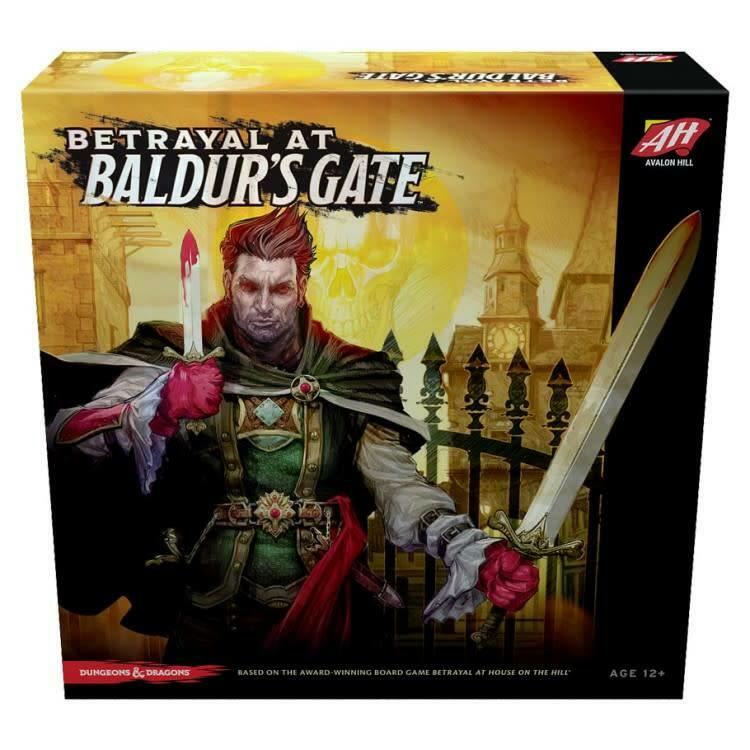 Based on the award-winning board game Betrayal at House on the Hill, Betrayal at Baldur`s Gate offers 50 different scenarios filled with danger and dread.